I opened up the white thick plastic case. I shoved in the VHS tape. Plastic and metal magic began to whirl as my VCR came to life. The picture flickered with pink, blue, and white creases until the tracking adjusted itself. Within moments my favorite weirdo, Gonzo, popped up on the screen promising entertaining fairy tale recreations with the Muppets! Muppet Classic Theater was released direct-to-video in 1994 and marks a few interesting points for the Muppets. It was the Muppets’ first direct-to-video feature length production. In fact, the Muppets’ have only released one other direct-to-video feature length production since. It is also the debut of Randy and Andy Pig. In this video, Andy is performed by Brian Henson and they play Miss Piggy’s brothers. They would join the main Muppet cast for 1996’s Muppets Tonight where they would play Miss Piggy’s nephews and Steve Whitmire would take over as Andy Pig. They are now relegated to background and minor characters in new Muppet productions. Wedged in between The Muppet Christmas Carol and Muppet Treasure Island, this was around the time that Gonzo and Rizzo the Rat became the focus of the Muppet cast. They are the hosts and narrators of this video. It is also around the time that the Muppets still seemed to be meandering after Jim Henson’s death. They had proven themselves as still viable and capable with The Muppet Christmas Carol, but they were struggling to find their identity and voice. It is set in the Muppet Theater, but the theater looks a tad different than what we are used to from The Muppet Show. Instead of the gold and red scheme we are used to, the theater is decorated in royal blue and the balcony has an “M” prominently centered on its front. Perhaps the theater had undergone some renovations since the 1970s? 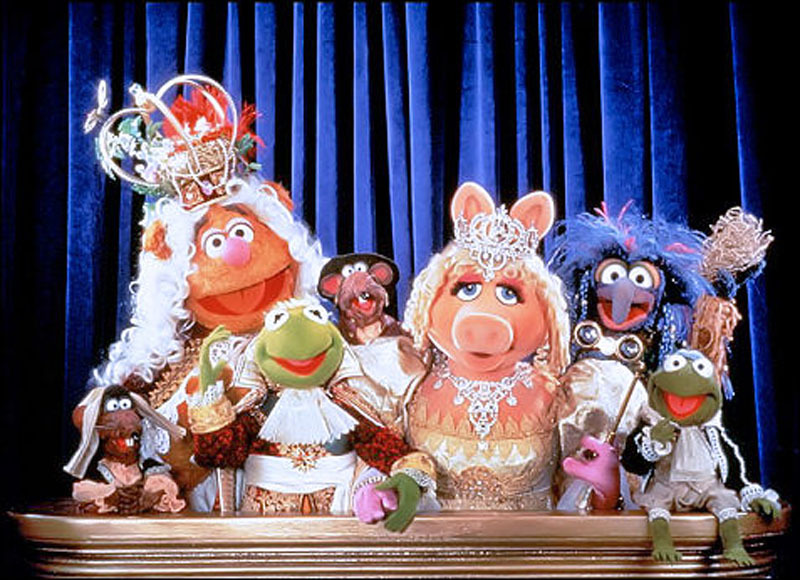 The Muppets put their unique spin on six classic fairytales which included The Three Little Pigs, The Boy Who Cried Wolf, King Midas, The Elves and the Shoemaker, Rumplestiltskin, and The Emperor’s New Clothes. Each fairytale is introduced and narrated by either Rizzo or Gonzo and includes at least one unique, new Muppet song. As proven with The Tales from Muppetland and The Muppet Christmas Carol, literature and fairytales are great source material for the Muppets. The stories are fun and timeless, allowing the Muppets to shine against stories we love and are familiar with. The Muppet twists keep these stories entertaining. 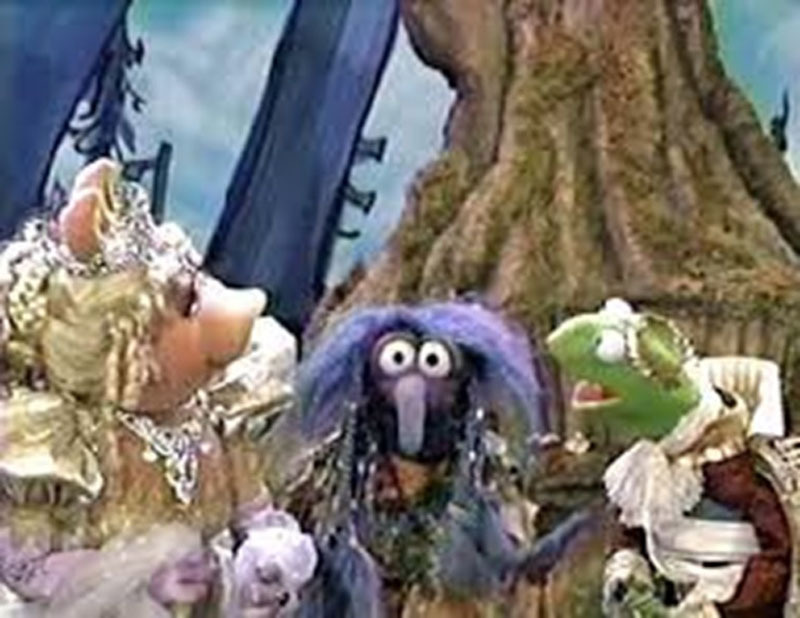 For instance, Miss Piggy is to blame for King Midas being cursed with his golden touch. According to this depiction, King Midas (played by Kermit the Frog) wanted to wish for peace when Miss Piggy screamed in that famous Miss Piggy way for him to choose the golden touch. Later in this skit she would once again opt against world peace in favor of an avocado green Slice-O-Matic just like the one she has seen on television! The video is also unique as far as Muppet productions go because it does not have a poignant life lesson teaching moment. In a typical Muppet feature, Kermit would flip out, realize that he is nothing without the love and friendship of the other Muppets, and try to reunite them. Aside from the lessons taught in the traditional fairytales, there is no life changing moment. The Muppets simply play actors who are performing fairytales. It is just a fun and entertaining video. The music is fun to sing along or tap your feet to. Although Muppet movies have released some memorable and poignant music, this video did not. Such show stopping ballads would not fit the tone of the rest of the show and simply would not match. The songs are not memorable per se, but they are successful ear wigs that may drive you nuts a few days after viewing it (especially “Show Me Some Respect” from The Three Little Pigs). All six fairytales were enjoyable, but the MVPs were The Three Little Pigs, Rumplestiltskin, and King Midas. They seemed to be much stronger and funnier than the other three. In The Three Little Pigs, Andy and Randy Pig have built their homes out of straw and sticks. The big, bad wolf has huffed, puffed, and blew their homes in. Of course, they seek refuge in Miss Piggy’s house that has been built out of brick. The wolf does not just give up, though. Dressed as Santa Claus, he attempts to sneak down the chimney. After taking some time to convince her brothers that Santa is not early this year, he is in fact the wolf; Miss Piggy is able to save the day! In true Muppet fashion, he is blown to the moon on a giant rocket shaped firework. The humor is not only funny in this skit, it is smart. Miss Piggy has some classic Muppet asides to the camera. She also is able to slide some watered down women’s lib in this skit that is subtle, but not preachy. In Rumplestiltskin, Miss Piggy’s father promises that she can weave straw into gold in order for her to be impressive enough to meet the king, Kermit. As she is crying in a room full of straw, Gonzo pops in as Rumplestiltskin. Gonzo is weird enough to pull off a perfect Rumplestiltskin. He is the perfect tricky, mysterious character. This also has the best song of the video as the entire cast of this skit gathers to try to figure out his name. This is the closest this video comes to a large production number. 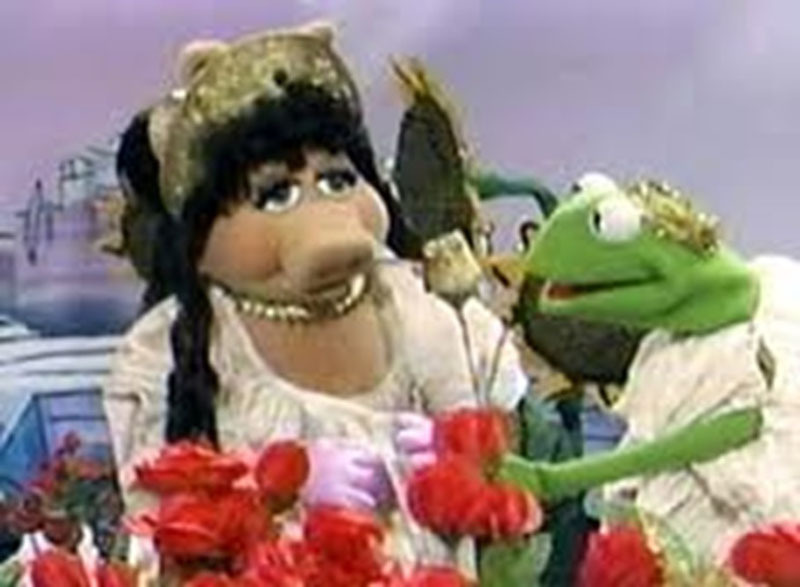 It is also great to see Miss Piggy and Kermit as a couple! They are bigger than Ross and Rachel ever were. Miss Piggy is even seen holding their child in this skit, but the audience only sees the blankets, not the face. In fact, it would take us 20 years to see what their children would like when they are finally shown in this year’s Muppets Most Wanted. King Midas is the most entertaining of all. Gonzo plays a satyr that has been found sleeping in the royal roses which is punishable by death, a punishment that seems a tad extreme for mild mannered Kermit. In an attempt to save his life, the satyr offers to grant one wish. Kermit longs for peace, but Miss Piggy speaks for him and requests the golden touch. King Midas turns several different items to gold for the peasants, but he draws the line at cows! Of course, he eventually flips out and accidentally turns himself into gold. Miss Piggy is able to convince the satyr to turn him back to the frog he once was, but it is obvious she did not learn her lesson; but, Miss Piggy rarely does. It was neat to see Miss Piggy as a brunette in this one. There are some very noticeable Muppet characters missing from this video. Since it is set in the Muppet Theater, it seems almost criminal that Statler and Waldorf are missing from the balcony. Their heckling and quips would be better additions to the video instead of the bits with Rizzo and Gonzo between each fairytale. The Electric Mayhem Band also leaves a large void in this video. They should have been in the orchestra pit. How else would the Muppets have any accompaniment to their musical numbers? For this video, the band is made up of penguins. There are a few times in which Rizzo or Gonzo are almost late for their cues on stage. Had Scooter returned as stage hand, everything would be more organized and smoothly. This was shortly after Jim Henson’s and Richard Hunt’s deaths. At the time, the Muppets were surrounded in clouds of rumors that their characters would either be killed off or retired. In fact, it was not until the 2000’s that Rowlf returned from a vow of silence. 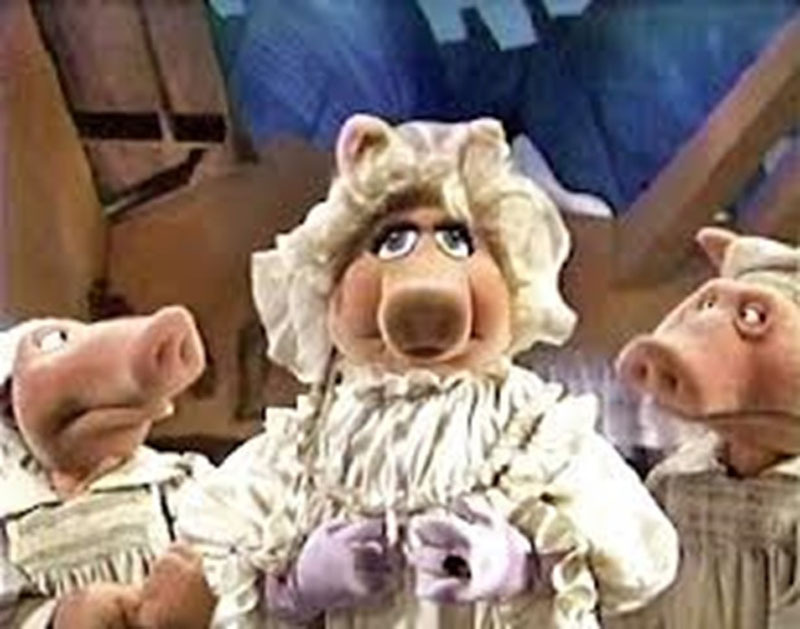 The absence of the other characters that appeared in The Muppet Christmas Carol is confusing and almost distracting. Another mystery is Fozzie only appearing in one skit. It is also the least entertaining skit. He is the emperor in The Emperor’s New Clothes. The skit is slow and even though it included classic Fozzie jokes that make you groan, the skit just did not work. My only guess is that there must have been a considerably small budget for Muppet Classic Theater. The sets during the skits are generic, but they have a fitting community theater look to them. Luckily, despite the losses of Jim Henson and Richard Hunt, the main Muppet performers, Frank Oz, Jerry Nelson, Steve Whitmire, Dave Goelz return to perform their classic characters. More of the classic Muppet puppet casts should have been used. There were missed opportunities to really take this direct-to-video to a higher level with the inclusion of the Electric Mayhem, Statler and Waldorf, Sam the Eagle, Scooter, and even more of a presence of Fozzie. 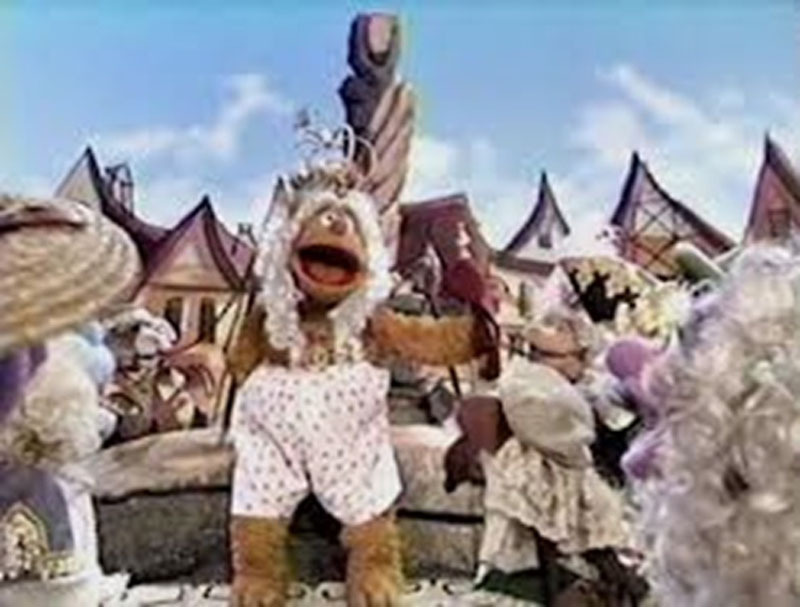 Typically, minor Muppet characters are used to fill the roles of background characters. Except from a few recycled puppets from The Tale of the Bunny Picnic, most of the background characters are generic whatnots. Whatnots are Muppet-style human-like hand and rod puppets whose facial characteristics can be easily interchanged. 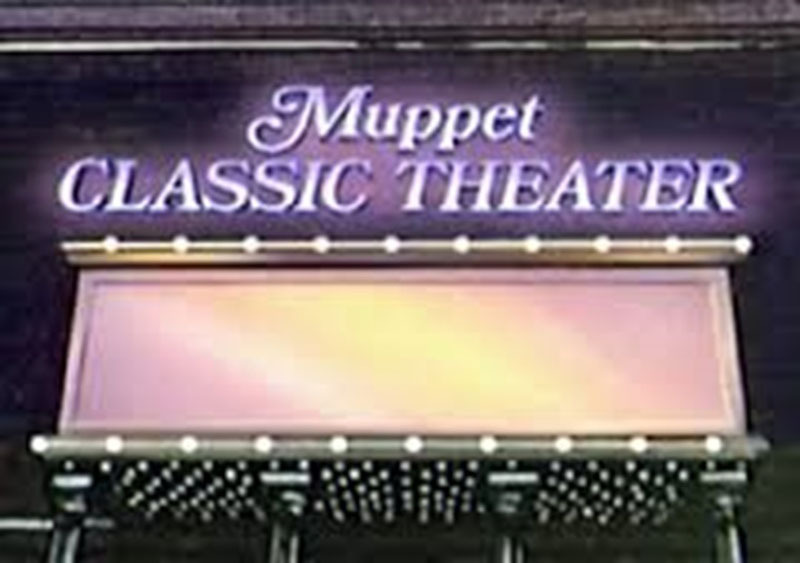 As a stand-alone Muppet production, Muppet Classic Theater is enjoyable and as the title promises, classic. Compared to Muppet television specials and movies, it is not as strong. Had other classic characters and recurring jokes been utilized, this direct-to-video venture could have only been made stronger. Still, it is worth dusting off the VCR. Hopefully, one day, this as well as other great Muppet productions will be released on DVD. Muppet Classic Theater gets 2.5 out of 5 rubber chickens!